Wet fingernail polish spills leave items such as pillowcases with bright blobs or slash mark stains on the fabric. The dye in the fingernail polish seeps into the threads, changing the color of the pillow case fabric. Simple laundering will not remove the stain; nail polish requires a product with acetone to lift the stain from the fabric and remove the discoloration from the material. Remove nail polish from a pillowcase with fingernail polish remover. 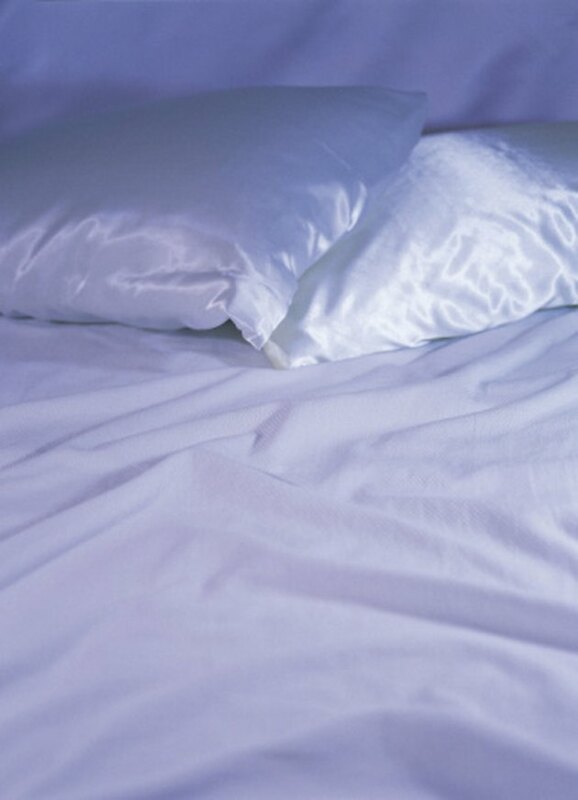 Remove the pillowcase from the pillow. Place a white paper towel under the fingernail polish stain inside the pillowcase. Moisten a clean rag with 2 tbsp. of fingernail polish remover. Dab at the nail polish on the pillowcase. As the nail polish becomes wet from the polish remover, it slides from the fabric onto the rag. The paper towel catches any nail polish that seeps through the pillowcase. Continue moistening the paper towel with the polish remover and blotting the stain until it stops lifting from the pillowcase. Mix 1/2 tsp. of liquid dish soap with cool water in a sink. Wet a clean sponge with the soapy water and squeeze out the excess liquid. Blot the remaining stain with the soapy sponge. Rinse the soap from the pillowcase with cool water. Spray a stain remover onto any remaining stain. Spray the underside of the stain also. Place in the washer and launder with 1 tsp. of liquid laundry detergent. Examine the stain after washing. If the stain remains, repeat the stain removal process beginning with the nail polish remover.